One of our more recent purchases here in Mexico was a UPS (Uninterruptible Power Supply), and it’s already proved itself very worthwhile. Its not uncommon for us to lose electricity at our house. Probably around once around every 2-3 weeks. We lost power on our very first day here. On Friday, we lost power for a few hours. Today we lost power, but only for a few minutes. A friend of mine down here who also works online told me that he has all his computer equipment on a UPS. So when the power goes out, he can keep working. Even better, he told me, is that if your modem is on the UPS, you’ll likely be able to still get online, even if you don’t have power at home. I never even considered this before! Since Elizabeth and I both work on laptops, I wasn’t too worried about keeping our computers on a UPS, but putting our modem on a UPS – great idea! So I ordered a UPS from Amazon. Actually, I think I ordered it from Amazon.com.mx. 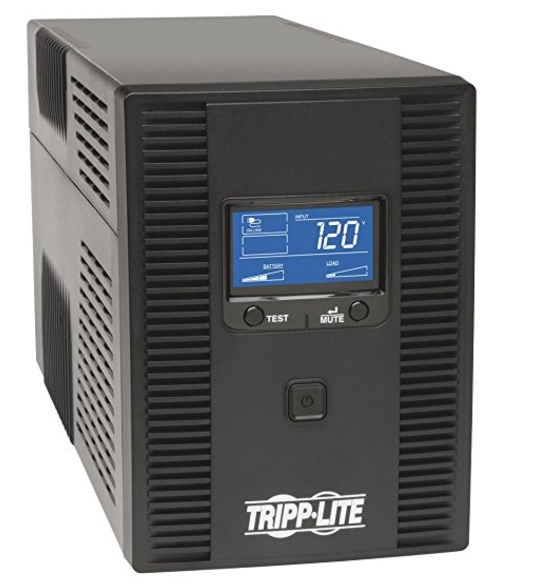 I ordered a Tripp Lite 1500VA. This model had the features I was looking for, and a battery size that was good-enough for my usage. The specs say that it will support an energy-efficient desktop computer and LCD monitor (75 W load) for up to 55 minutes during an outage. It took a few weeks to arrive, but once it did, I immediately connected my modem to the UPS. Fast forward to last Friday, and our power goes out. The transformer on our street blew – we heard the huge boom! The dogs go nuts. The panel on the UPS told us we had about 3 hours of power remaining. Since the only device connected to the UPS is the modem, this seemed about right. So, we kept on working, using the internet without missing a beat. After about 2.5 hours, it was getting a bit hot at home (since no power means no air conditioning), so we hopped on over to a local restaurant to keep working, have lunch and use their WIFI. When we left the house, the UPS said we still had about 30 minutes left of power. So it was pretty accurate on its power draw. Not too long after that, power was restored. We lost power again today, but only for a few minutes. No problemo – we kept right on working, connected to the internet the whole time. Now, in case of a major electric problem, such as the mega-blackout that took out a good chunk of the country, our ISP would also likely be affected, so the UPS wouldn’t have helped in that scenario. 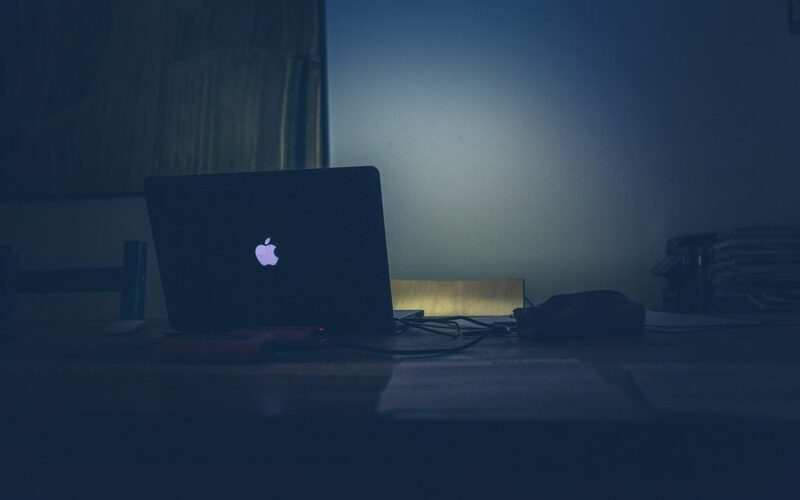 But for the more common occasional outages, our solution works great. 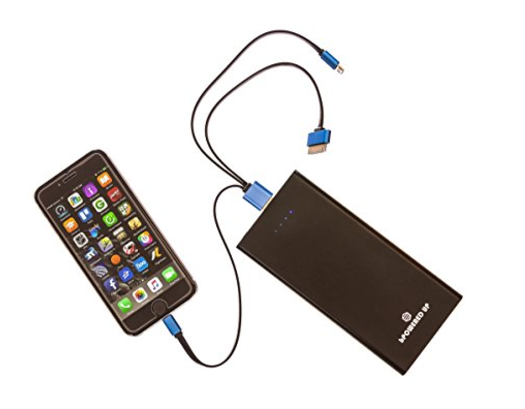 One of the other devices that I have is a portable power bank, which I can use to power or charge my iPhone. I also take it to the beach with me if my Kindle battery is low. This is the one I have. It’s just one additional piece of power insurance if needed. I’ve had UPSs as work, but never at home before. Nor did I ever expect that I would need one. But now I’m glad we do! If you rely on the internet as much as we do, you might consider a similar solution. It’s a relatively low-cost answer for occasional power outages. Oh, and HUGE thanks to my buddy Tony for the suggestion of getting a UPS. I owe you a cerveza or two for sure! Great ideas! I’m using both AND, my most favorite thing in the world – a battery operated fan. I got mine on Amazon a few years ago for under $50 USD and it has saved my life a few times. I have a home seemingly designed to defy all attempts to get a breeze, so when the power goes out, I am, well, screwed. I highly recommend having one or two of these babies on hand when you live in the tropics. I hadn’t thought of battery-powered fans! I’ll go check ’em out. Great tip – thanks!